At Desert Dental Alternatives, Dr. Bruno Lemay provides a full range of cosmetic dentistry services to help turn each patient's dreams of having a beautiful smile into a reality. Those who are unhappy with the appearance of mild dental misalignment, but are looking for a discreet alternative to traditional metal braces, may benefit from treatment with MTM® Clear Aligners from Dr. Lemay. MTM® Clear Aligners are nearly invisible, allowing patients to achieve a straighter smile without the discomfort or embarrassment of traditional orthodontics. Discreet treatment is only one of the many benefits our patients have come to expect from MTM® Clear Aligners. Let's take a closer look at some of the most significant benefits of MTM® Clear Aligners enjoyed by our patients in Palm Springs, CA. MTM® Clear Aligners are made of clear plastic, making them virtually invisible when worn to straighten the teeth. Patients who undergo orthodontic treatment with MTM® Clear Aligners can avoid the insecurity that wearing traditional metal braces often brings. MTM® Clear Aligners can be removed for up to two hours a day. This makes it easy to eat as well as brush and floss the teeth while undergoing orthodontic treatment. Because MTM® Clear Aligners may be removed while eating, there are generally no food restrictions while undergoing treatment as there are with traditional orthodontic braces. Many who undergo treatment with traditional metal braces find that the brackets of their braces irritate their inner lips and cheeks, causing traditional orthodontic treatment to be uncomfortable. MTM® Clear Aligners allow patients to avoid the tissue irritation common to metal braces as each set of MTM® Clear Aligners are custom-made of smooth, clear plastic. MTM® Clear Aligners can enhance the smile in a fraction of the time needed for traditional orthodontics, which can take over 18 months. Although treatment time will vary based on each patient's needs, MTM® Clear Aligners make it possible to enjoy a straighter smile in as little as six months. Because treatment with MTM® Clear Aligners is generally significantly shorter than traditional orthodontic treatment, it's often the less expensive treatment option. When the teeth overlap, it can be difficult to remove plaque, even with diligent brushing and flossing. This can increase the risk of tooth decay and gum disease. Straightening crooked teeth with MTM® Clear Aligners can help improve oral health by eliminating areas of overlap. 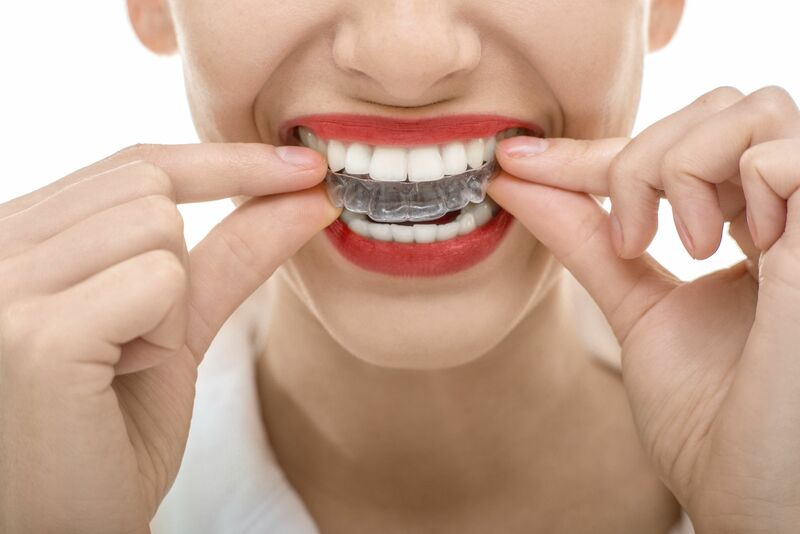 Of course, one of the most significant benefits of treatment with MTM® Clear Aligners is an overall improvement of the smile's appearance, and because MTM® Clear Aligners are clear, patients often begin to see the results of treatment well before treatment is complete. There's nothing like a beautifully straight smile to boost self-confidence. Treatment with MTM® Clear Aligners makes it possible for many people to enjoy improved confidence from having the beautifully straight smile they've always dreamed of. For more information about enhancing your smile with MTM® Clear Aligners, or to find out if you're a candidate, we invite you to schedule a consultation with Dr. Lemay.